We said goodbye to the mountains and sunshine of Cusco and returned arrived back to Lima on June 28th. As you know we had a great time in Cusco, but before we left Lima most of the folks here said “We’ll see you when you get back”. Even though they knew we said that there was a possibility that we would stay in Cusco. OK so they were right- we’re back. 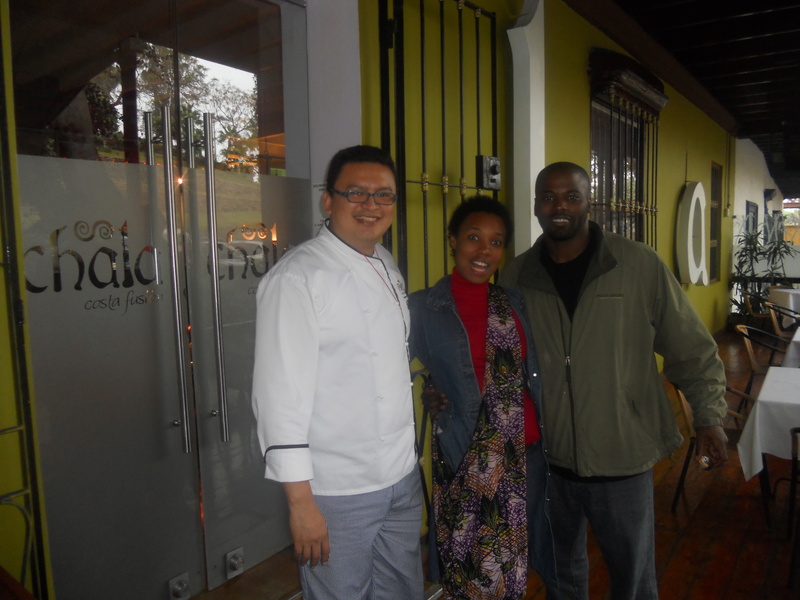 We returned to our friend Carla’s house that you saw in the previous post while we began searching for an apartment.While we were there Carla asked me for the 5th time or so have you all been to Chala yet. No. So we headed there for lunch one fine day. The walk to Chala is quite pretty its hard to describe its location but its in the lower level of a small park. Imagine a park that slopes into a valley but there’s also bridge that goes across it (The Bridge of Sighs). It’s in the lower part of this valley but this is actually a street going towards the ocean. Yeah I know you’re confused – I will have to go take pictures. We arrived and the menu was a little more expensive than we would have liked for lunch but we could tell it was going to be a really nice meal (they actually don’t have a lunch menu). 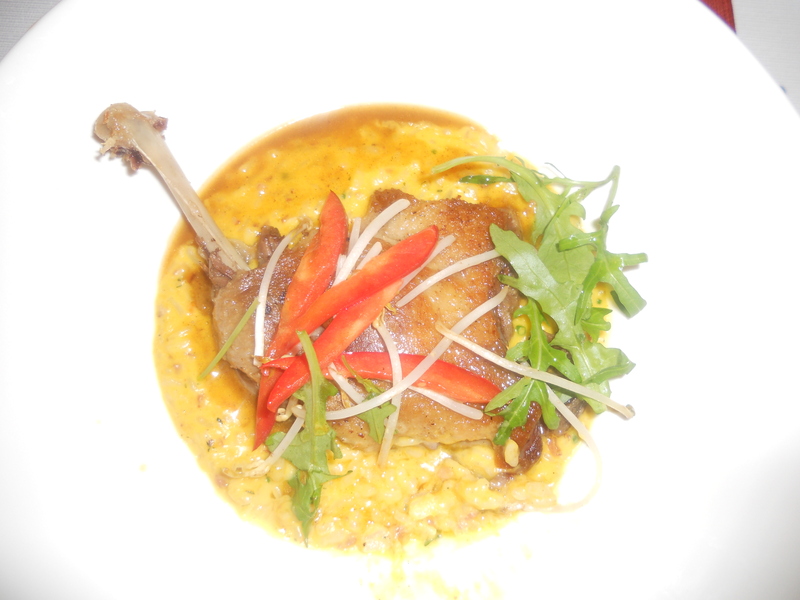 I ordered the duck with corn risotto and Matthew got chicken. OMG this food was amazing! We lucked up again. Thank you Carla! We even got a chance to meet and take photos with the Executive Chef. 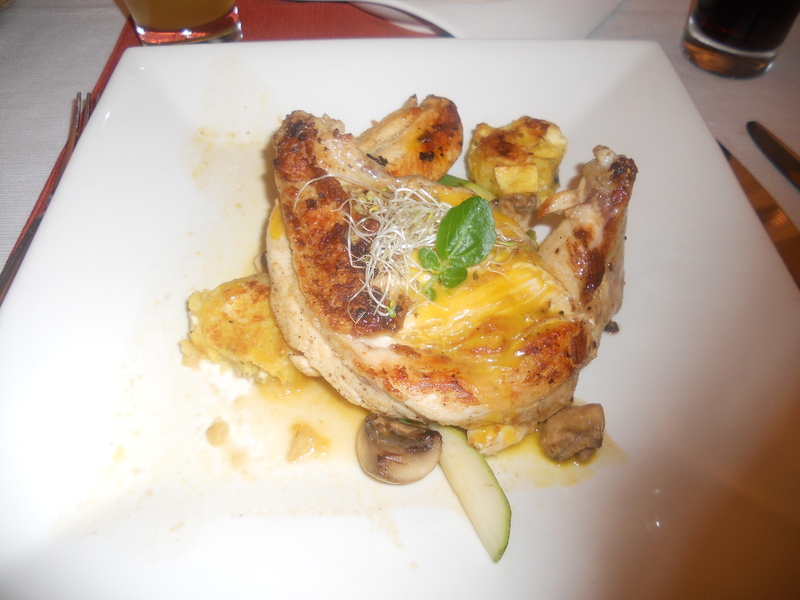 www.chala.com.pe What do you think we should try next on Chala’s menu? Leave a comment below. We decided we would focus on Barranco, Miraflores, and San Isidro. We also began looking at places in San Miguel. I used www.expatperu.com www.livinginperu.com and our tried and true www.craigslist.org. We ended up narrowing it down to two apartments one in Miraflores – the heart of Lima where you will spend most of your time, and the other in Barranco- the bohemian neighborhood we had gotten to know and love because that is where Carla’s house is. Barranco- great pics on-line.. 2 bedrooms and 2 bathrooms but pictures can lie.. and we hadn’t seen it yet. Not sure is it matters what you have for your appetizer and entree as long as you know you are going to have Lagrima de Rosa! Roses filled with passionfruit! OMG. More please!